This is much more than a place to make predictions for the 2016 election, though you can do that here, too. 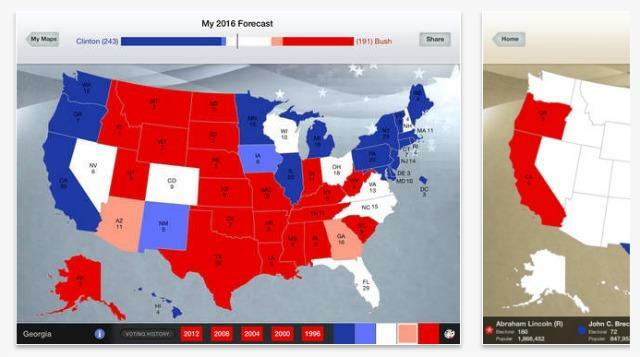 270toWin allows you to map which states are leaning toward the left, which are leaning toward the right and which are undecided. 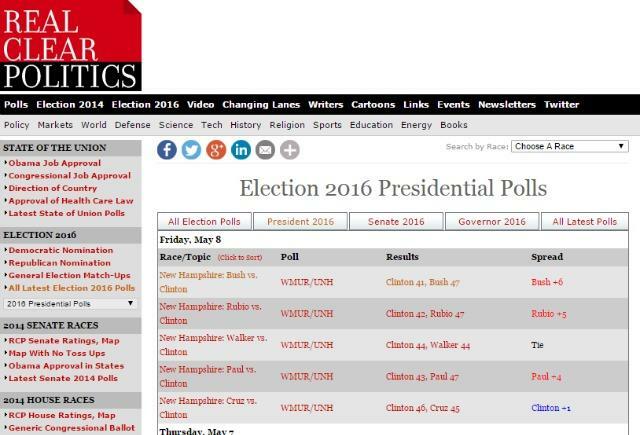 It also provides a host of political news updates and information about Senate, House, and Governor Elections. 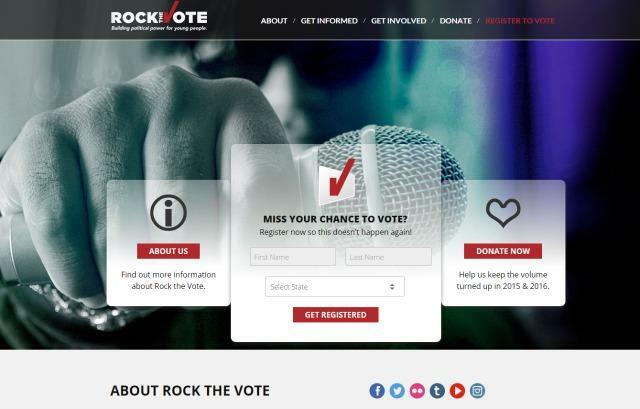 Aside from being the largest non-partisan and non-profit organization in the country, Rock the Vote keeps the millennial voting bloc informed and aims to facilitate a clear line of communication with the younger generation. By visiting this site you’ll find everything you need to know about how to register to vote, how to check your registration status, where to find the nearest polling places come Election Day and much more. The site also includes its Tumblr blog, where you can find thought pieces voting issues such as marriage equality and civil rights. This is a more advanced resource for those looking for up-to-date electoral information. It’ll be an excellent site to watch over the coming months for the latest polling information and which candidates are favored in what areas. The site also hosts political news videos, which can be useful for anyone who prefers to learn via visuals or who doesn’t have the time to tune in to traditional televisions reports. 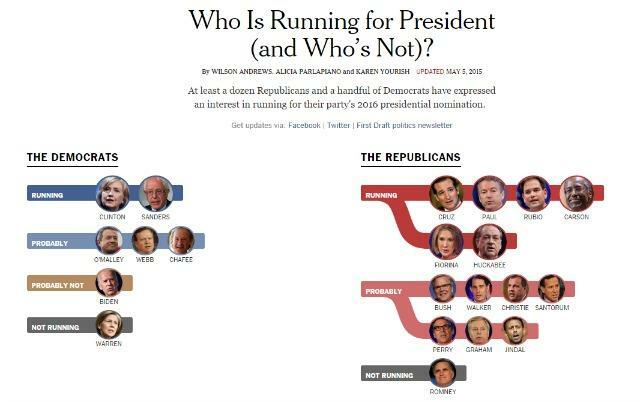 This engaging election tool will help you stay on top of the candidates running for President while also providing you with information about the candidates’ election prep strategies. The online resource provides a wealth of information with regards to the key factors affecting a candidate’s decision to run, and what they would need to do to win. The tool does not include independent parties in its calculations, however, so its usefulness is limited to voters who side with either Republicans or Democrats. This is a free live streaming video app that many politicians are using to get their unfiltered messages across to tech-savvy individuals. 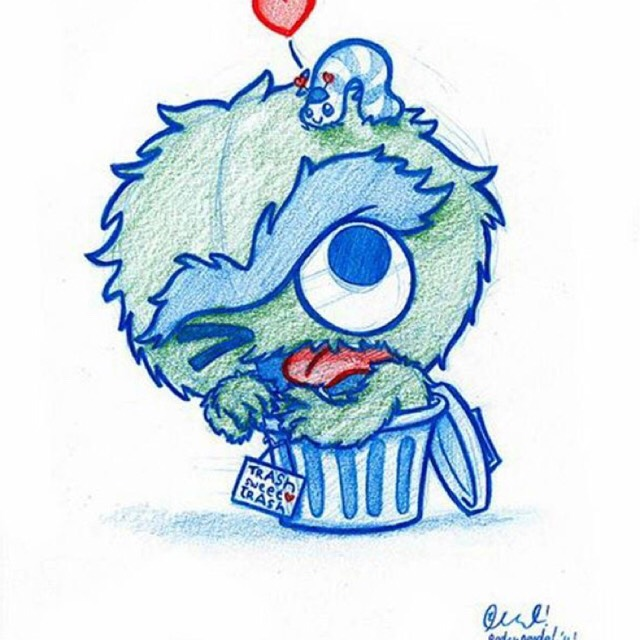 It is, however, locked in a battle with Periscope, an app of the same variety. 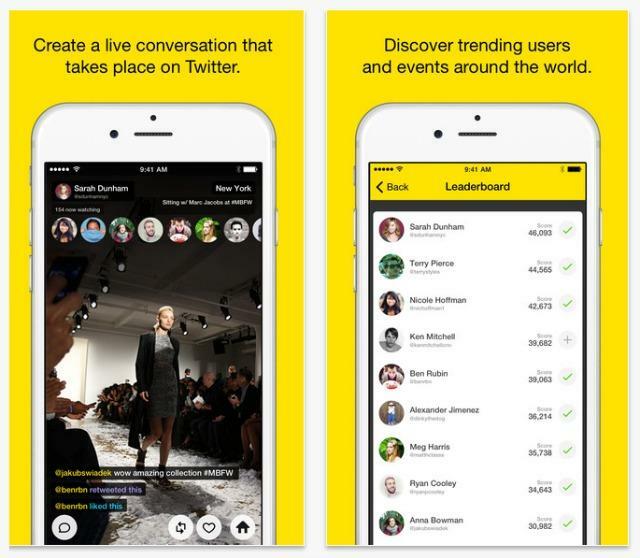 Meerkat allows users to stream live video footage from their phones and push the content to their followers on Twitter. Provided you’re following a few political figures and/or journalists, you’re likely to find it an amazing way to stay informed and up to date on the ongoings of the election.